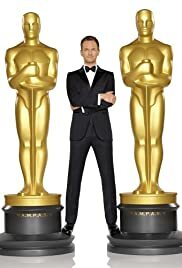 I did not think that an MC could be more boring than Anne Hathway and her sidekick but Neil Patrick Harris has managed... His jokes are dull and mistimed. The winners take their sweet time in getting to the Microphone and then they go on and on and on...typical American demeanour...The British need to win all the awards as they keep their speeches to a self deprecating style and they are humorous. The American winners are so self aggrandizing that it is uncomfortable to watch. There were far too many moments in this show where it was cringe-worthy. NPH coming out in his underwear is just desperate. When the camera panned the audience, you could see stars like Oprah, Clint Eastwood, Jennifer Hudson and Eddie Murphy who just had a deadpan look: it said it all-boring!